Hopefully it might never come to that but if you do have a problem and aren't sure how to resolve it, you can always rely upon our Court Department to advise you. No matter the nature of your legal problem, whether the matter is civil or criminal, we have a wealth of experience to call upon to ensure that the outcome is the very best for you. From preliminary informal advice right the way through to representation before the Courts and other formal hearings, we can provide experienced and practical assistance. If for whatever reason we are unable to assist with your particular problem, then we will always do what we can to assist in finding the right expert who can help you. Depending upon your circumstances, you may qualify for help with your costs through Legal Aid. It may even cost you nothing. We are happy to undertake legally-aided work for you and a few simple questions can allow us to assess your eligibility. We are happy to assess your eligibility for free. 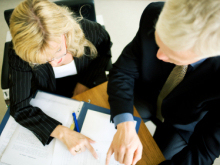 No matter whether you qualify for Legal Aid, we are happy to provide a free initial consultation. This should allow you to decide whether you wish to pursue matters without the worry of having wasted money simply to find out. A full explanation of charges and likely costs will be also be provided together with any other preliminary information required. We may even be able to sort out your problem by a quick chat on the telephone or a brief meeting. Bear in mind that we have successfully dealt with literally thousands of such situations over the years and what might seem to you to be a huge and complicated problem might very well be easily resolved by us in next to no time. Peace of mind (and a good night's sleep) may be only a phone-call away.